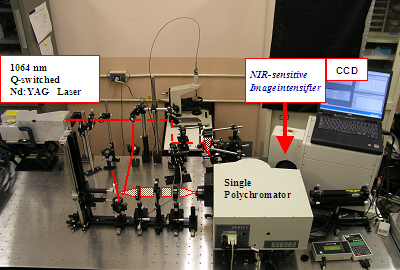 We can eliminate the background fluorescence by using near-infrared excitation. 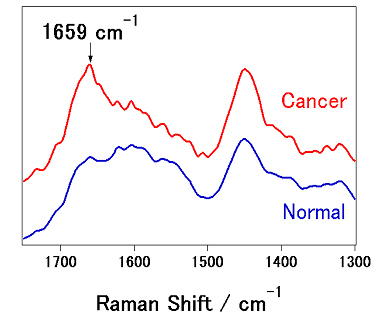 It is necessary to use 1064nm excitation for Raman measurment of biological samples, such as fresh lung tissues, human skin and so on. A marked difference is found at the 1659 cm-1 band of the amide I vibration. It can be used as criteria for distinguishing normal and cancer lung tissues. 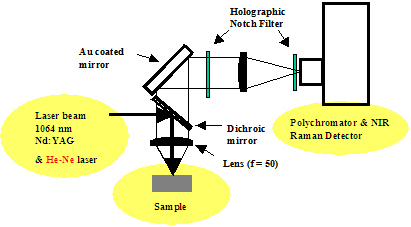 Y.-K. Min, T. Yamamoto, E. Kohda, T. Ito, and H. Hamaguchi, J. Raman Spectrosc. 2005, 36, 73-76.